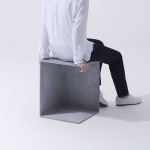 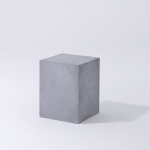 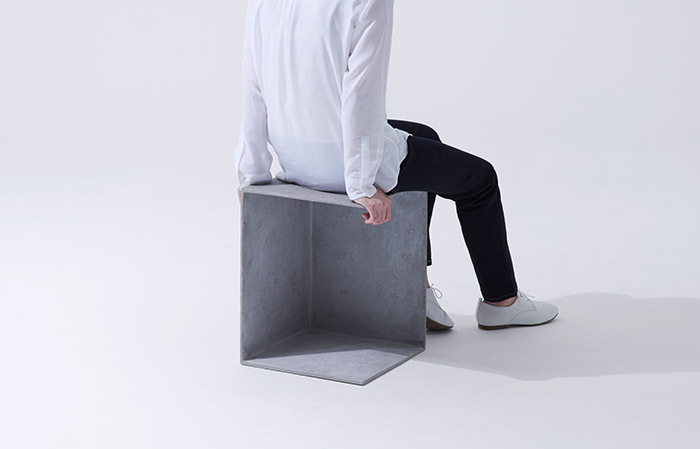 SOLIDITY is a stool that appears to be a solid concrete cuboid, but is actually empty. 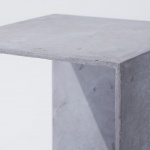 It was structured with thin metal plates to form a cuboid shape when viewed from a certain angle and plastered with concrete texture called MORTEX. 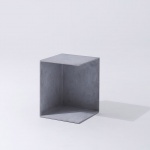 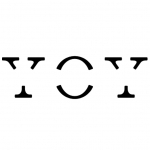 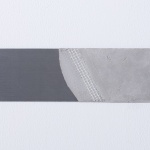 This work was created for YOY’s exhibition titled “EXISTENCE” held at Milan Design Week 2019.